The two firms extend partnership with integrations involving Adobe Sign and Microsoft’s collaboration platform. Microsoft and Adobe have strengthened their strategic partnership with new product integrations aimed at boosting workplace productivity. As part of the effort, Adobe Sign is now the “preferred” e-signature platform for Microsoft’s product portfolio, the two companies said in a statement Thursday. For Adobe, this means potential access to 100 million users of Microsoft Office365 suite as well as the Dynamics CRM platform. Other Sign integrations include Microsoft Flow, a workflow management tool launched last year; OneDrive cloud document storage; and Microsoft’s Slack-competitor, Teams. Integrating Sign with Teams is designed to help simplify electronic signature processes for groups of employees, the companies said. An Adobe Sign app available in Teams will enable users to send documents for signing, while a Teams bot will support management and tracking of documents. Microsoft’s team messaging platform will also be integrated into the Adobe Creative Cloud software suite, and stock image service, Adobe Stock, with the aim of providing faster feedback on creative projects. The partnership is likely to provide a boost for Microsoft as it pushes Teams to customers, said 451 Research analyst, Raúl Castañón-Martínez. Microsoft’s recently launched service faces stiff competition from rivals such as Slack and Atlassian - which yesterday unveiled its Stride collaboration software. “Adobe Sign is a leading best of breed e-signature service; the partnership will make Teams’ value proposition more compelling,” said 451 Research senior analyst Raúl Castañón-Martínez. While the partnership with Adobe is a plus for Microsoft, it does not necessarily give the company an advantage, he said, as it is “still catching up with Slack when it comes to third-party integrations”. The partnership follows an initial tie-up in September 2016, when the two vendors announced that Adobe Creative Cloud, Document Cloud and Marketing services would be available on Microsoft’s Azure public cloud. 451 Research Associate, Melissa Incera, said that the ongoing partnership provides benefits for both firms, and gives Adobe greater reach across enterprise workforces. “Adobe’s success has been its ability to deliver products that are vertical specific (for marketing, sales, and creative professionals), but these tools are siloed departmentally and don’t serve as a unifying, collaborative experience across an employee base. 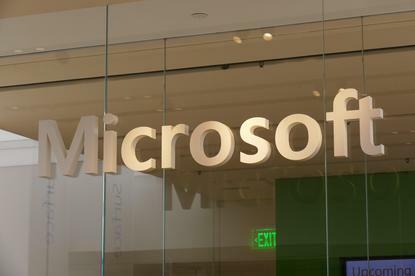 Microsoft’s Office365 strategy is the opposite,” she said. She noted that, although the ‘preferred' partner arrangement doesn’t mean exclusivity for either party, Microsoft and Adobe each boast large client bases and little technological overlap, offering potential for future revenue generation. “The cross-sell opportunity is considerable should the companies create the right experience incentives,” she said. The Adobe Sign integrations with Microsoft Dynamics and SharePoint are already available, with Teams, Flow and Sharepoint following suit in the coming weeks.